Dubai attracts many foreign investors being one of the best destinations for business investment. In order to start a business in Dubai, you need trade license which is the most important document required for a company. A trade license allows you to conduct business activity in Dubai and without it you cannot operate any kind of business activity whether it is online or offline. In UAE, the process of issuing a license involves getting approvals from government especially the Department of Economic Development (DED).The Department of Economic Development in Dubai is a government agency that regulates the economic activity for all businesses outside the free zones. The responsibilities of DED includes licensing, issuing trade permits for marketing activities, classification of economic activity and setting business work hours within Dubai. Cost estimates for trade licenses, cost of renewal of trade license and checking the status of your transactions are some of the smart e-Services offered by DED. To provide licensing services, the department is operated from different locations. However, their main office is situated near the Clock Tower in Dubai. According to Dubai Statistics Center, the commercial licenses issued in the first quarter of the year 2017 have the highest ratio among all the other trade licenses. 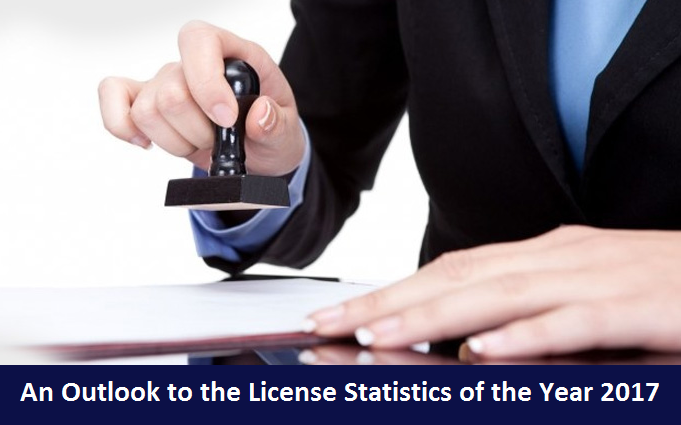 3,637 new licenses were issued and 27,193 were renewed whereas 1,162 licenses were cancelled. The numbers of licenses issued by DED in the first quarter this year are 50 whereas the license renewed and cancelled are 770 and 27 respectively, as stated by the Dubai Statistics Center. Dubai Statistics Center in their recent Statistical Report of the first quarter of 2017 mentioned that the professional licenses offered, renewed and cancelled are 1,680, 7,536 and 312 respectively. However the total number of license offered, renewed and cancelled makes a huge amount of 5,524, 36,254 and 1,523 respectively. Applying for a Trade License in Dubai is a daunting and stressful task. From the processing of the required document to waiting in queues is not an easy job but when you join RIZ & MONA Consultancy we will make it a lot more similar and easier for you. We at RIZ & MONA Consultancy provide complete solution by advising you with right kind of license for your business and give frequent reminders for its renewal. Our services are available for all types of business licenses in Dubai.